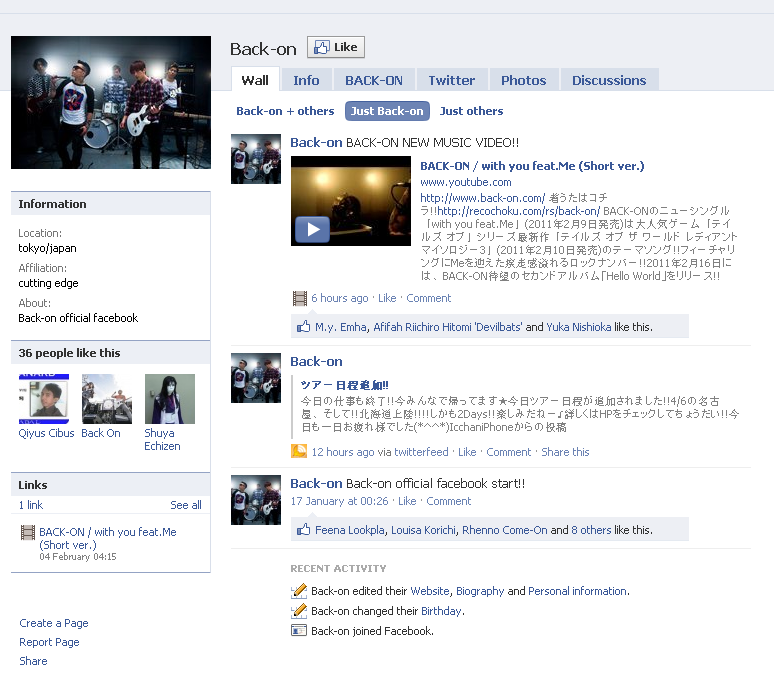 BACK-ON’s official Facebook page and new BACK-ON.com design for with you feat.Me! As our previous post, this news comes from BACK-ON‘s Official Twitter, who – by the way – have just started following all of their current followers, but before I get distracted even more by the Twitter goodness and the fact t that BACK-ON are seriously embracing the mainstream social media networks, they have just launched their official Facebook page! And with thanks to Buzu for the news: BACK-ON have also launched a new ‘with you feat.Me‘ design for BACK-ON.com due to the forthcoming release of the single. I personally love the dark colours of both designs, but this new theme has a smaller menu but now features a section showing the covers of both CD designs and the barcode for downloading with you feat.Me as a ring tone. Like the new design? I hope so and if you have a Facebook account – please pay a visit to their official Facebook page and click on Like! BACK-ON launches their official Youtube channel!